We’ve been, off and on, trying to market the patent for my cable locking system. If you don’t know what that is, please visit http://www.wildcatman.com for information about the integral part of my suspension bridge. We had minor interest from Bridges to Prosperity (http://www.bridgestoprosperity.org/), but that’s about it so far. So, if you know anyone who wants to manufacture a cool cable locking system and send me a percentage of the profits, let me know! 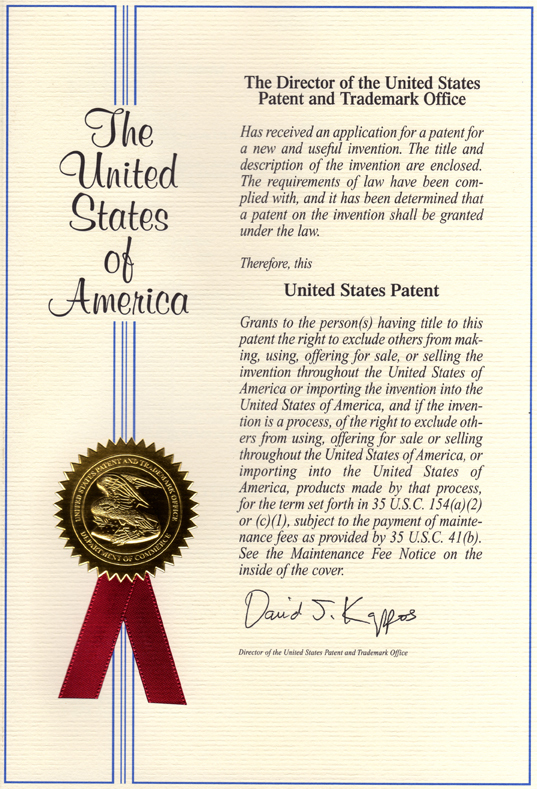 Here’s the history of how I wound up with a patent for sale. It all started when I decided to apply for a utility patent. With no knowledge or experience in patents, Robin and I hired a patent attorney to do the initial search. They determined that it had never been done and, it also passed the test for being “unobvious” and therefore was patentable, in their expert opinion. We knew that hiring an attorney to actually write the patent would cost more money than we had, but when we talked to these people on the phone they assured us that we could write it ourselves and do the drawings and they would charge a much smaller fee to help from that point on. However, once the search was done, they wanted another $3-5,000 to pursue the patent for us. They denied ever telling us they would simply assist in some capacity. So we told them no thanks and bought David Pressman’s book, Patent it Yourself, (http://www.amazon.com/Patent-It-Yourself-Step-Step/dp/1413317197) and got to work. It took us a full month to get it all done to the best of our knowledge and understanding of the process. We wrote a check to the USPTO and sent them our specs, abstract, drawings, and claims – the main components of a patent application. Then we waited about 18 months (which they promise is typical). We did file online so could check in to see if any action had been done. The eighteen months passed and our patent was rejected, with a “non- final” action. Our $500.00 patent search had failed to turn up another patent that the USPTO found and decided was too much like my invention. I looked at it and said no way, so the games began. We answered with revised claims, and it was rejected again. We filed a continued patent examination (get David’s book if you want more information) and tried again. We got some help from the USPTO help-line who assured us that patent examiners are told to help people who weren’t using a patent attorney. That is, if we were lucky enough to get someone who was sympathetic. While our examiner did appear to be on our side, her letters always suggested that we needed to hire an attorney and she didn’t seem all that sympathetic. Considering that the attorney we did hire blew it on the patent search, we weren’t willing to spend the money even if we had it. I called the examiner and we had a few long conversations. It finally all came down to including the cable in the claims. Without it, my system did not lock. Finally the examiner agreed to show our new claims to her supervisor. We waited some more, then one morning there was a message on our answering machine from the examiner. Her supervisor had told her she should not have rejected our most recent claim. She offered to rewrite it to include some things she felt needed to be there. We still have that recording. 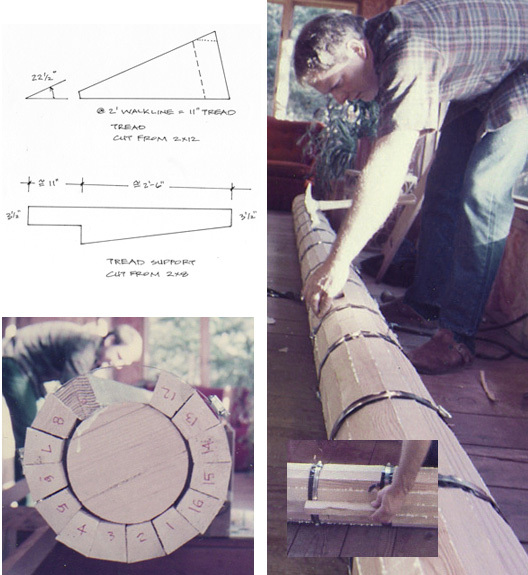 You can read more about all this in my book, Building a Small Cable Suspension Bridge. There is a link to purchase it on my website: http://www.wildcatman.com. 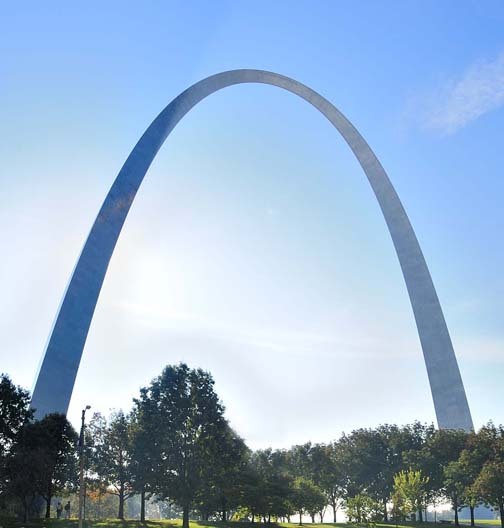 The St. Louis Gateway Arch is built in the shape of an upside-down catenary curve. 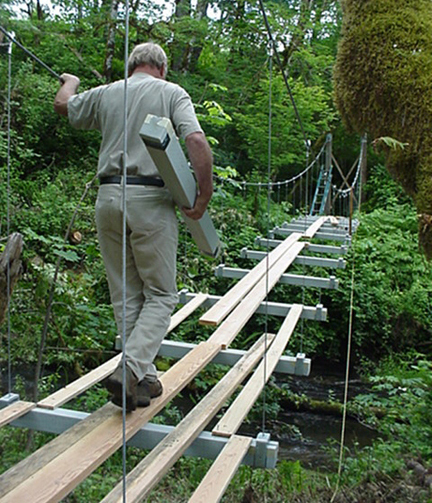 An integral part of my suspension bridge was the catenary curve of the two main cables. The catenary curve is the curve assumed by a heavy uniform flexible cord hanging freely from two points. The curve of the main cables would evenly distribute the weight of the deck among all of the suspenders, which are the cables that run from the main cables to the deck assembly. The curve also determines the relative lengths of all the suspenders. I had to figure out how the cables were going to curve in the most efficient and eye-pleasing manner to support the structure while still looking cool. The factors to consider for the curve can get complicated. There truly is a mathematical formula to get the “ideal” weight load distribution in a curve. Engineers call that ideal an “equal resistance catenary.” This is when the cable’s resistance to breaking is equal along its entire length. To accomplish this bit of perfection, we consulted my wife’s brother the engineer. He was a great help in getting a better understanding of the physics behind catenary curves. But, being a hands-on guy, I created a scale model for determining the catenary curve for my bridge design. This way, I could draw up the posts and deck at the pre-determined height and length, respectively, then set the catenary curve to my liking by using pins and heavy nylon fishing line. I could double-check using the math, but it was nice to have something physical that could be adjusted. 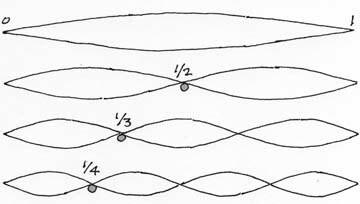 This approach at determining the catenary, though being less precise than the mathematical one, can be used to solve undetermined configurations. You can read more about the catenary curve and another aspect I had to consider, harmonic resonance, in my book, Building a Small Cable Suspension Bridge. There is a link to purchase it on my website: http://www.wildcatman.com. 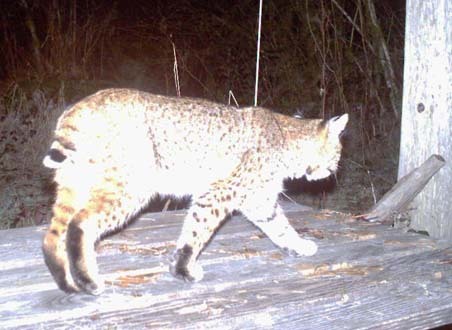 Welcome to Wildcat Man’s Blog! 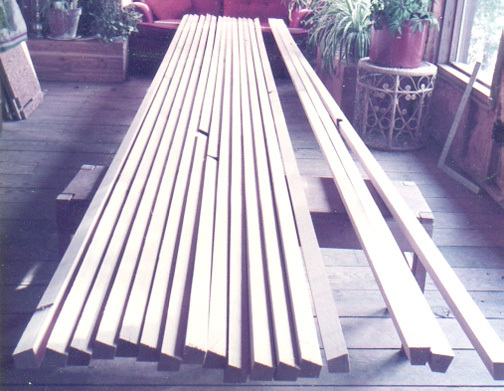 I’ve been a designer and carpenter for 40+ years and have constructed or remodeled just about everything from chicken houses to restaurants. 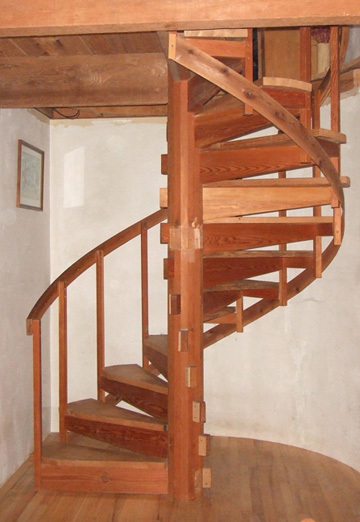 For me, the challenge of building is figuring out how to create something in an efficient, practical way, while making it esthetically pleasing. This blog will highlight a lot of techniques and/or designs that I have come up with or observed over the years. 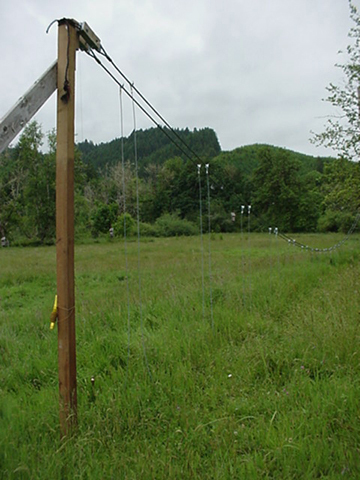 Building a Small Cable Suspension Bridge With the Cable Locking System: http://www.wildcatman.com. Thanks for stopping by! I’ll be posting more soon.